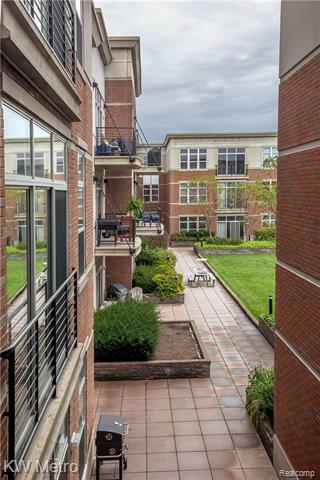 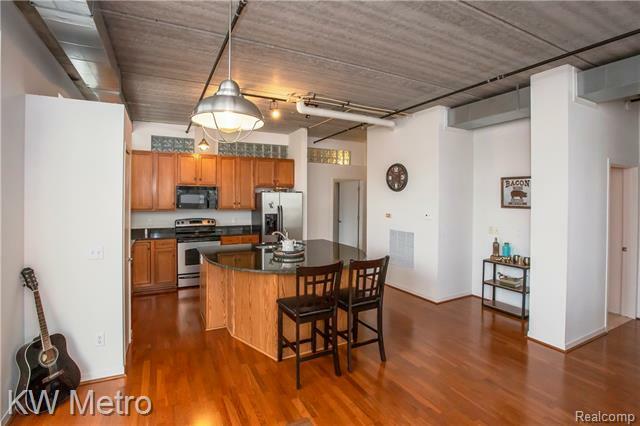 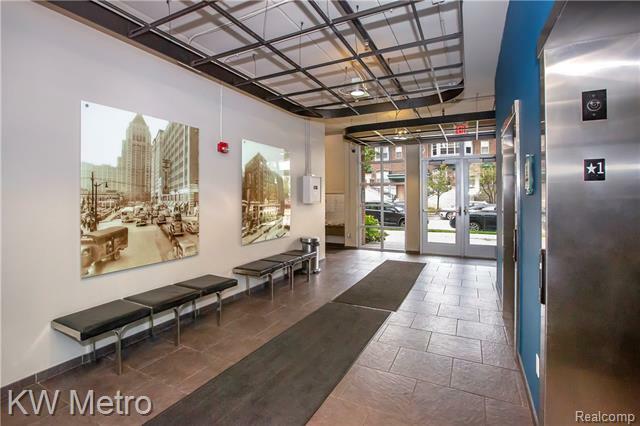 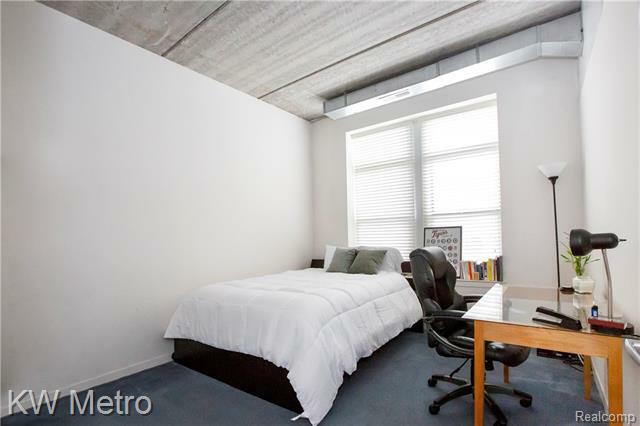 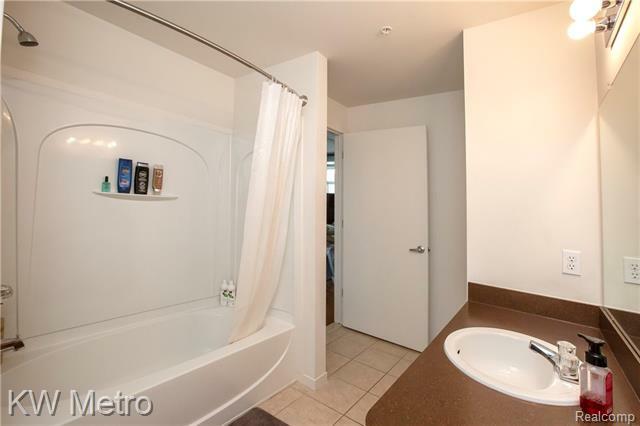 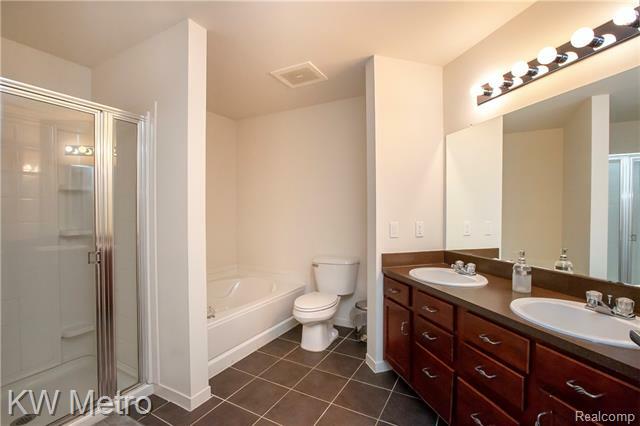 The individual(s) lucky enough to call this condo home may indulge in all things Detroit! 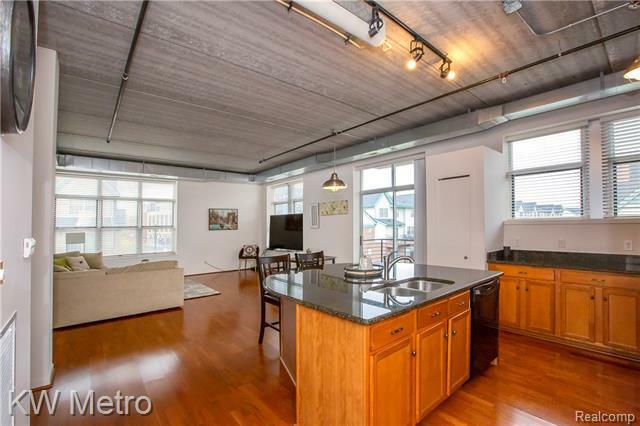 This 1,435-square-foot loft has hardwood floors, an updated kitchen, and downtown views. 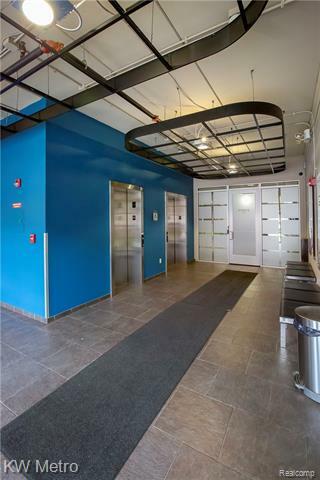 The building also has indoor parking (two spaces for this unit), a fitness center, and an outdoor garden terrace common area. 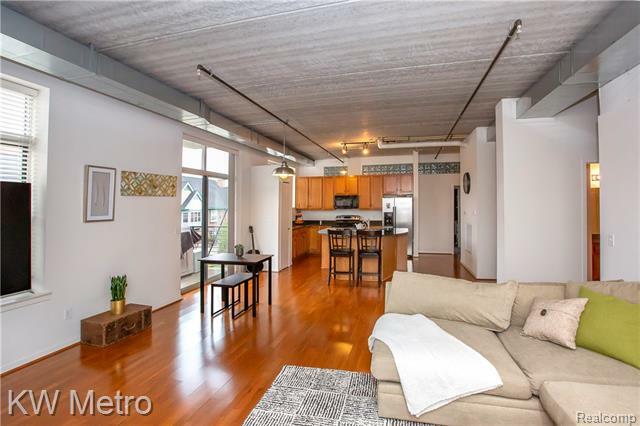 It’s right at the edge of Brush Park, close to downtown, Eastern Market, Midtown, Little Caesars Arena, Ford Field, DMC, Whole Foods, The Fillmore, Wayne State, Fox Theatre, various public transportation options and many other Detroit attractions. 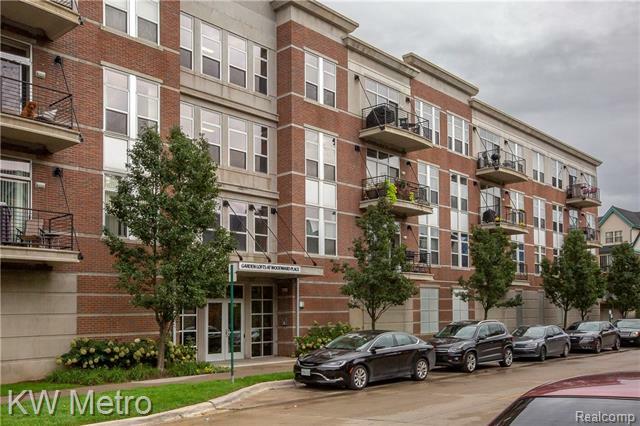 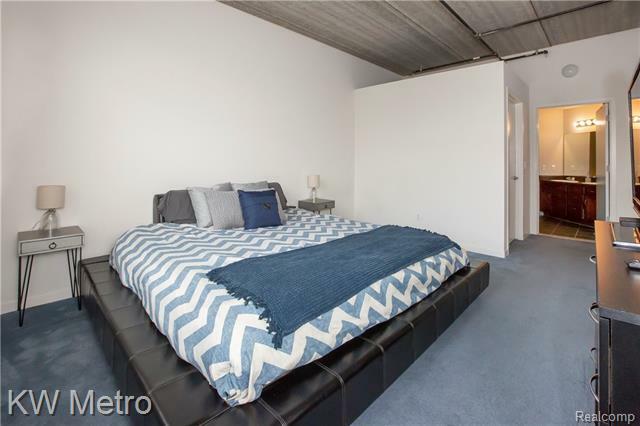 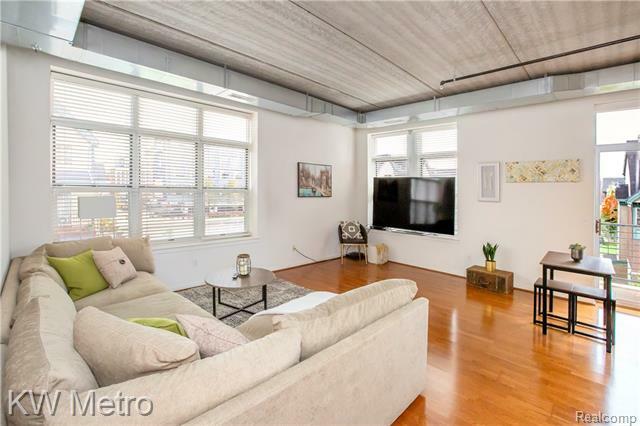 This two-bed, two-bath condo is one of the larger ones we’ve seen at the Garden Lofts, and it has a corner view and balcony overlooking downtown. 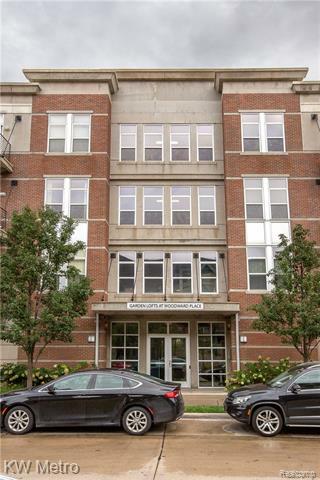 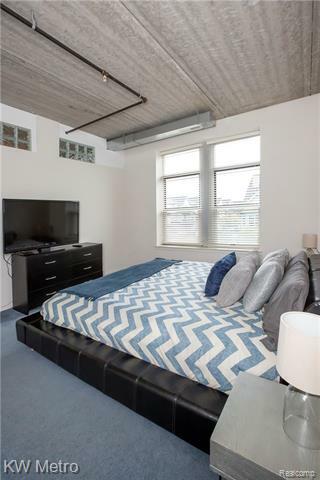 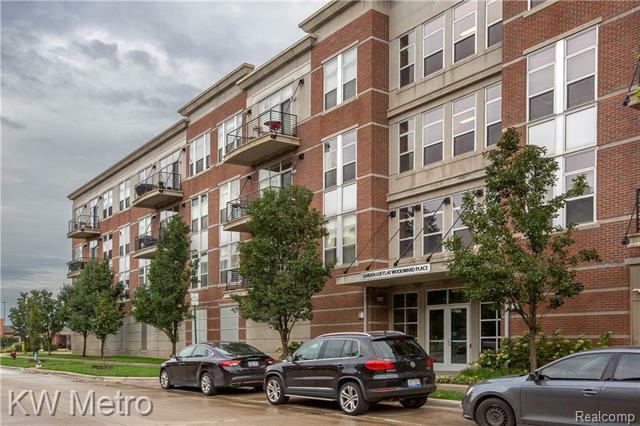 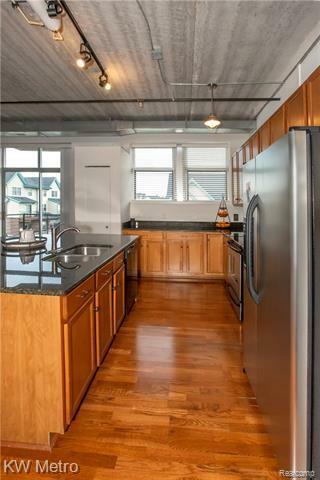 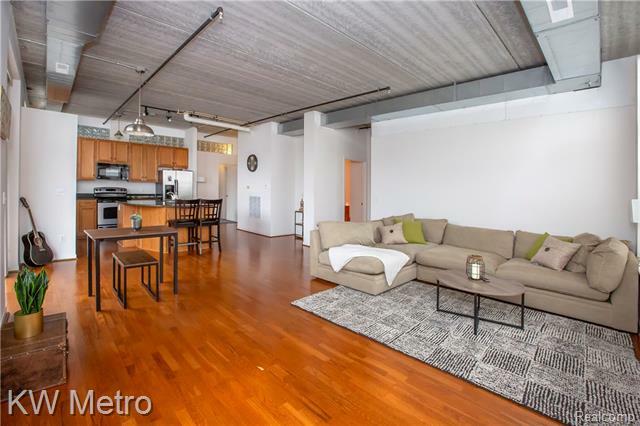 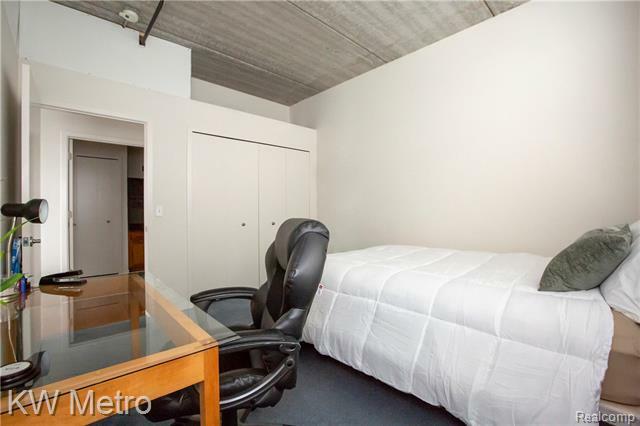 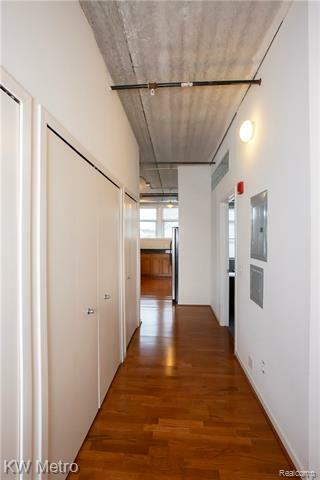 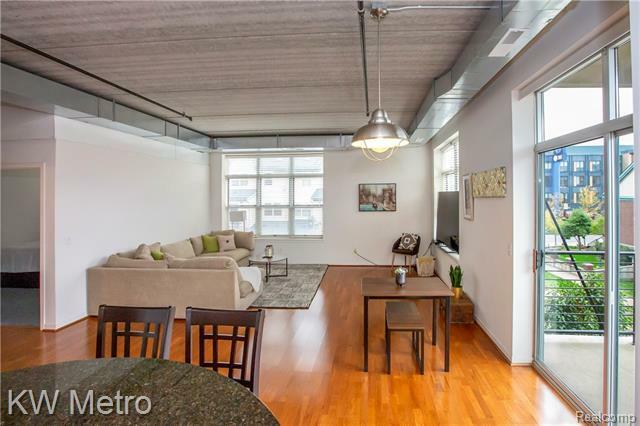 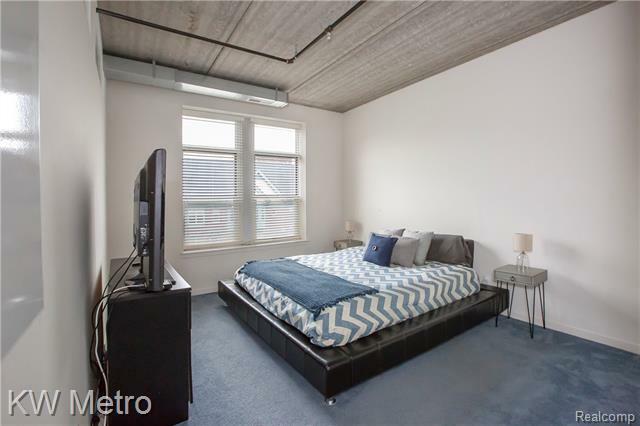 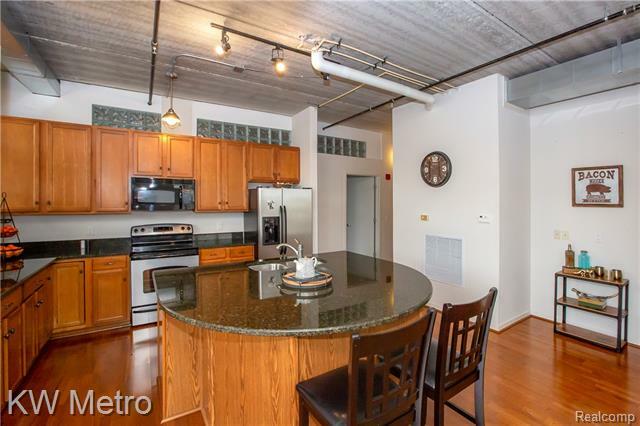 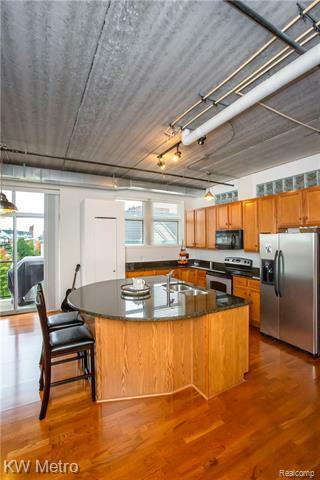 This loft has exposed brick, 10 ft. high ceilings, big windows, large walk-in closet, tons of storage, in-unit washer/dryer, granite counters, and green touches like geothermal heating and cooling. 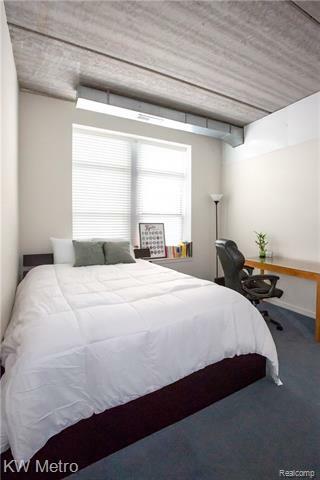 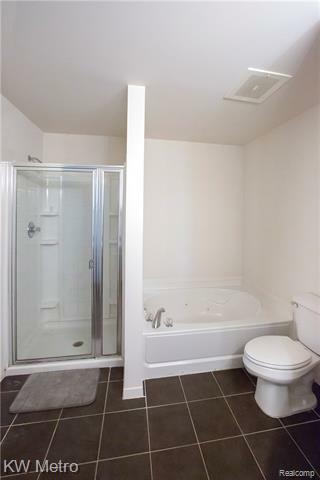 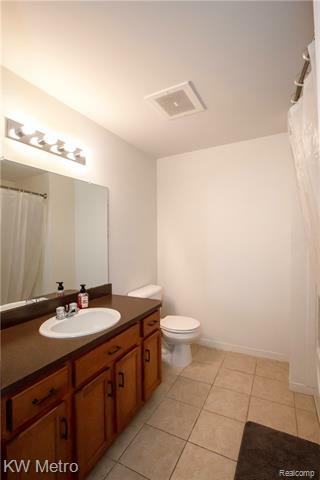 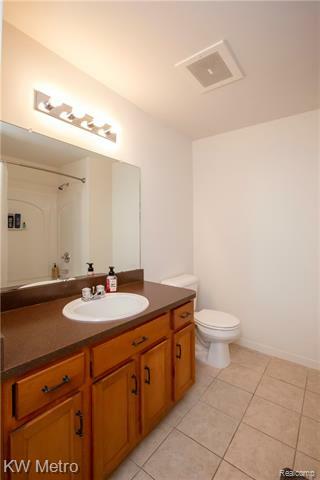 All utilities included, 2 garage parking spaces included, safe and secure building.